Last week I wanted to catch up with my buddies and wanted to visit a lounge that I haven’t visited before and one of my blogger buddies suggested Ora Lounge & Bar. And that’s how I discovered this hidden gem in Barsha. Situated in the rooftop of Cassells Hotel in Barsha, Ora is a place for shisha and drinks in a relaxed atmosphere. 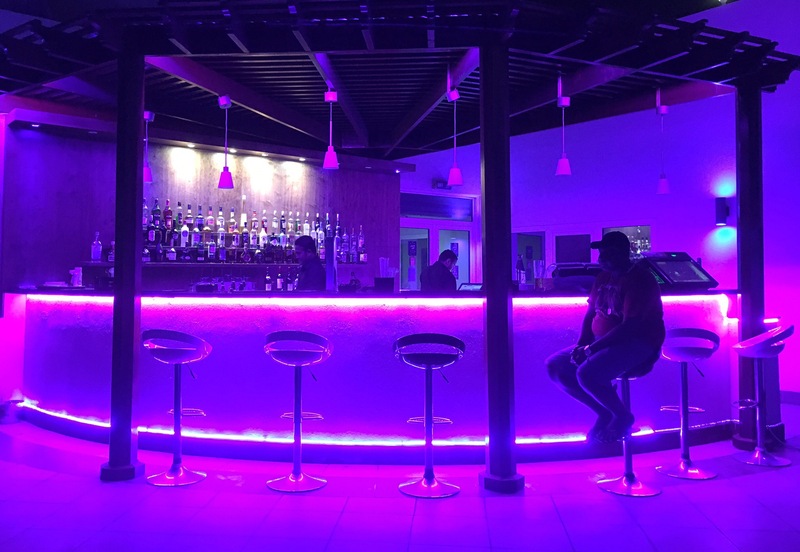 It is a spacious venue with bright neon lighting and friendly vibes. Ora has a big and well stocked bar. Liked the tables under the cabana, if you have a large group, its nice to sit in one of those cabanas. After being seated, we ordered our drinks. Their drinks menu is impressive with a wide range of cocktails, mocktails, fresh juices, wines and other spirits. 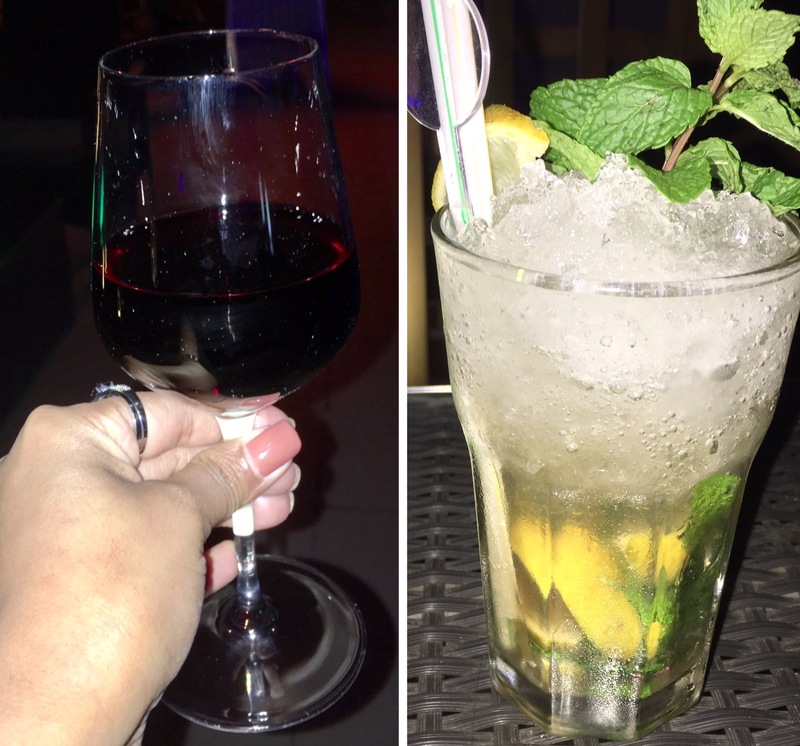 While I had a glass of Merlot, my friend had a Classic Mojito and we even tried some of their mocktails. All their drinks were refreshing. We were also served a complimentary bowl of Pop Corn. Though they don’t have a food menu, upon request you can order from their room service menu. And that’s what we did. We ordered Veg Spring Rolls, Margarita Pizza and Biryani. The food offering was decent. My friends tried their Shisha and not only was it reasonable, it had amazing flavors as well. If you are in Barsha or nearby and want to visit a good place for shisha, drinks and music in a pleasant atmosphere, Ora Lounge & Bar is the place for you.